The American Library Association (ALA) announced their annual awards given to honor children’s and young adults’ books this week. The Caldecott Award is presented “to the artist of the most distinguished American picture book for children.” This year, the committee chose more multicultural titles than were celebrated in past years. This year’s Caldecott Award was presented to Wolf in the Snow (Macmillan), illustrated and written by Matthew Cordell. The only writing in this nearly wordless book is of animal sounds. The illustrations are inked in pen and colored with watercolors. The design of the pages varies with some being circular and others depicting more than one picture. A young girl is walking home from school when it begins to snow. She finds a wolf pup who has become separated from his pack. After she returns him to his pack, the wolves follow the girl and protect her when she, too, becomes lost. It’s often difficult to share a wordless book with more than one child at a time, but Wolf in the Snow is an exception. Cordell’s charming book should be enjoyed by young readers for years to come. The judges for this year’s Caldecott Committee chose four honor books: Big Cat, Little Cat written and illustrated by Elisha Cooper (Roaring Brook Press), Crown: An Ode to the Fresh Cut illustrated by Gordon C. James and written by Derrick Barnes (Bolden), A Different Pond illustrated by Thi Bui and written by Bao Phi (Capstone), and Grand Canyon illustrated and written by Jason Chin (Roaring Brook Press). 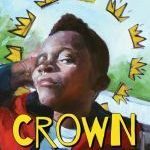 While all of the honor books demonstrate excellence, there is one of the titles that received much recognition – Crown: An Ode to the Fresh Cut. Not only did the ALA choose the title as a Caldecott Honor Book, it was also recognized as a Newbery Honor Book and a Coretta Scott King Honor book. 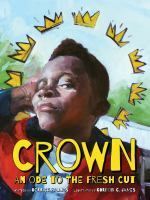 The King Award recognizes African American authors and illustrators, and the Newbery Medal is given for outstanding children’s literature. It’s unusual to have a picture book recognized in the Newbery category. The writing is lyrical as Derrick Barnes describes the importance of a haircut to an African-American boy.